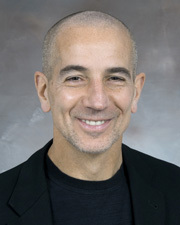 Dr. Robert Amato is a professor at McGovern Medical School at The University of Texas Health Science Center at Houston (UTHealth). Dr. Amato sees cancer treatment evolving into a new era during which more treatment options exist than ever before. He uses every bit of his professional knowledge and experience to ensure that his patients can take advantage of advances in science and technology during their treatment. His practice philosophy centers on finding the most appropriate treatment for each individual, keeping up with developments and performing research to continually improve cancer care. He focuses on every individual patient, providing personalized treatment for each, rather than depending on only a handful of standard treatments. His patients have the advantage of his many years of experience, broad relationships with industry, researchers and other physicians, and a modern, fully-equipped cancer center staffed by physicians, nurses and other caregivers committed to the highest quality of care. Dr. Amato’s favorite leisure activity is running. A University of Texas Health Science Center at Houston (UTHealth) affiliated location.